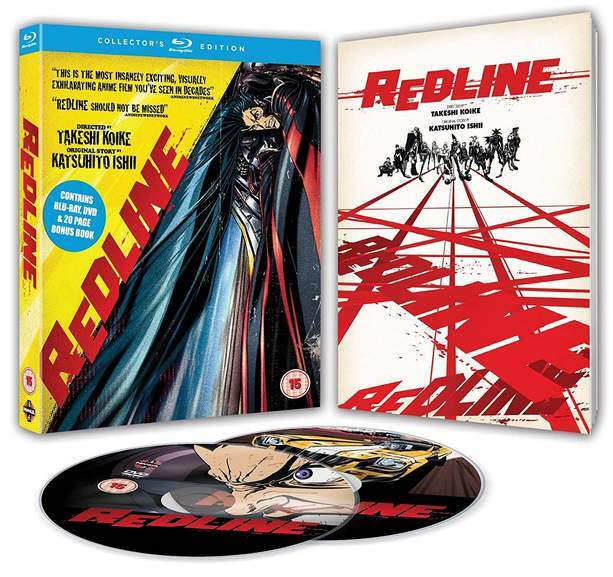 Very entertaining Anime film and cheapest I've seen this. The most dangerous and exciting car race in the universe is held only once every five years. And that's tonight. The competitors are lined up at the starting block. In his vehicle, JP, the most daredevil driver on the circuit, is ready for the green light. Female driver Sonoshee, with whom he is secretly in love, is also on the starting line. She will stop at nothing to get on to that podium. In this race, not only is anything possible, but also anything is allowed. The film is produced by the studio MADHOUSE (Ninja Scroll, Summer Wars), directed by Takeshi Koike (The Animatrix's "World Record") and written by Katsuhito Ishii (Piroppo, Trava).